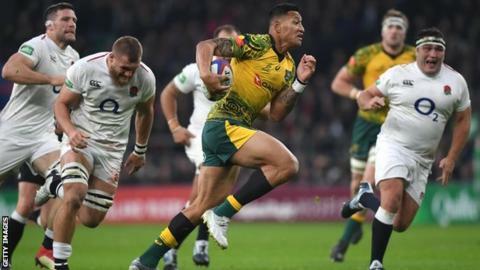 Israel Folau has requested a code of conduct hearing after Rugby Australia ended his contract over a social media post in which he said "hell awaits" gay people. She added: "We will now work to confirm a date for the hearing as soon as possible." "After the date for the hearing is confirmed Rugby Australia and the NSW Rugby Union will make no further comment on the matter until the code of conduct process has concluded," said Castle. Committed Christian Folau last week posted a banner on his Instagram account that read: "Drunks, homosexuals, adulterers, liars, fornicators, thieves, atheists and idolators - Hell awaits you." Last week, Australian rugby league's governing body ruled out Folau returning to the National Rugby League.